One of the many films to miss my 100 Best Movies of the 00s list by this much was Andrew Dominik’s extraordinary 2000 true crime drama Chopper. It stars Eric Bana as infamous Australian psychopath Mark “Chopper” Read, a criminal who became legendary after writing his autobiography behind bars. It was the first time I ever saw Eric Bana in a movie and his performance is electrifying. His transformation is so complete that every time I’ve seen him since, I have to remind myself that it’s the same guy. 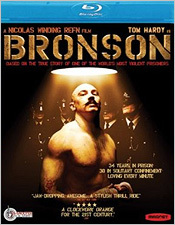 When I first started hearing about Nicolas Winding Refn’s Bronson, I immediately thought it looked like nothing more than a UK riff on Chopper. And yes, there are some superficial similarities. But the movie itself reminded me more of the work of Alan Clarke, a British writer-director who worked mainly in television. Clarke’s films frequently dealt with lower-class, violent people on the fringes of society, including skinheads, football hooligans and juvenile offenders. Specifically, Bronson brought to mind Clarke’s 1977 film Scum (which he remade in 1979 after the BBC banned his original version) about life in a youth prison. But while Clarke’s work is steeped in gritty realism, Winding Refn goes for a more flamboyant, theatrical style. In fact, Bronson feels like an Alan Clarke script as directed by 70s-era Ken Russell, right around the time he was making such films as Tommy and Lisztomania. One big difference between Chopper and Bronson is in the nature of the title characters. Bronson (who was born Michael Peterson but later adopts the fighting name of Charles Bronson) is a brawler, not a killer. He’s violent, dangerous and self-destructive but really, he just wants people to pay attention to him. There’s no difference between notoriety and admiration in his mind. Celebrity is celebrity and in the end, that’s all he wants. He relishes his reputation as Britain’s most violent prisoner and does whatever it takes to maintain it. Charlie Bronson isn’t a likable character by any means but Winding Refn does a good job putting us inside his head and making us identify with his lust for glory. There is one element that is common to both Chopper and Bronson: both films have a dazzling, charismatic, attention-grabbing leading man. This is evidently not the first time I’ve seen Tom Hardy. He’s previously appeared in a number of films, including Black Hawk Down and Layer Cake (NOTE: And since this review was first written, he’s obviously appeared in a couple of little Chris Nolan movies called Inception and The Dark Knight Rises). But it’s the first time I really took notice of him and I guarantee I’ll be paying attention to him from now on. With his shaved head and handlebar mustache, Hardy creates an imposing, larger-than-life figure. His performance is broad and almost over the top but carefully stays on the side of believability. Hardy somehow manages to find shades of subtlety in the character, even when he’s at his most cartoonish. Without Tom Hardy in the title role, Bronson wouldn’t be half the movie it is. Magnolia brings Bronson to Blu-ray via its Magnet imprint and the results are rather nice. The movie looks like it was shot on a variety of different film stocks and formats and the disc captures the different qualities of each one quite well, with bright, solid colors, textured grain and rich shadows. 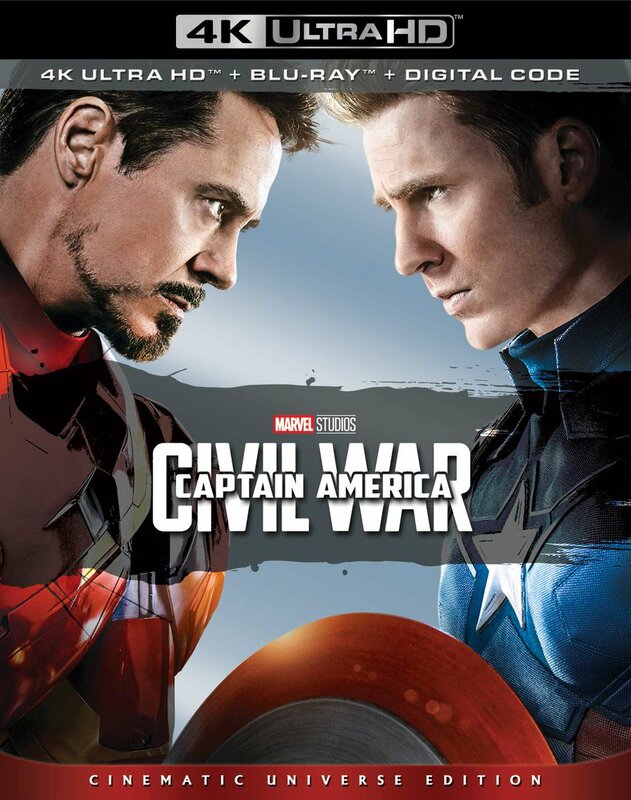 The audio track is certainly loud and bombastic, without sacrificing dialogue, although it lacked a degree of fullness. E xtras, which are mainly in SD, are a bit of a mixed bag. The Charles Bronson Monologues are a series of audio recordings by the real Charlie Bronson. I was interested by what I could understand but the quality of the tapes coupled with his thickly accented, gravelly voice sometimes made it difficult to make out what was being said. Subtitles would have helped a lot. There’s a standard 15-minute making-of featurette, which I would advise skipping in favor of the video interviews with Nicolas Winding Refn, Tom Hardy and co-star Matt King. These interviews are excerpted in the featurette and there isn’t much more of substance there apart from these three. Training Tom Hardy focuses on Hardy and his personal trainer. It’s impressive and fairly interesting even if it does come off a bit like an ad for The Bronson Fitness Plan. The disc also includes some raw behind-the-scenes footage, a red-band trailer and previews for other Magnolia releases. Far from the been-there-done-that experience I assumed it would be, Bronson is a vivid, original character study with a style all its own. Not all of Nicolas Winding Refn’s flamboyant touches work but they certainly help keep the movie from feeling too familiar. Without question, the real reason to watch Bronson is Tom Hardy. His choices are brave, confident and uniquely his own. When I heard that George Miller was planning on retapping the Mad Max well with Fury Road, I was skeptical but intrigued. But now that Tom Hardy is involved with the project, my interest level just kicked up a few notches.